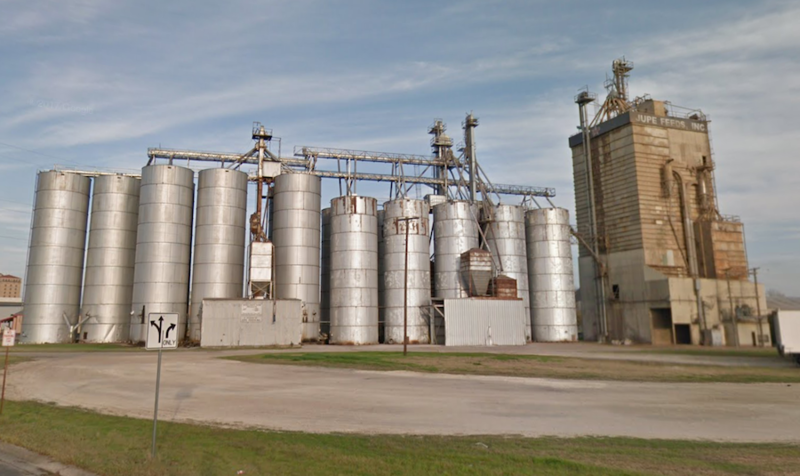 Officials said a blast last Wednesday afternoon at the Jupe Feeds Inc. feed milling facility in Temple, TX was likely caused by an ignition of accumulated grain dust. Emergency personnel responded to the site at about 12:30 p.m., and were told by workers that a loud explosion was heard. “Firefighters located evidence of [an] overheated bearing. The bearing was cooled with water. There was no evidence of fire. The explosion damaged a section of a grain elevator located outside of the building,” Temple Fire & Rescue said in a statement released to media. No injuries were reported and the facility was not evacuated during the incident. Waco, TX-based Fox News affiliate KWKT reported that a large grain explosion occurred at the site in the late 1970’s. Jupe Feeds Inc. is operated by Jupe Mills of San Antonio, a producer of feed for livestock and wildlife sold under the Jupe Feed and Wendland’s Feed brands.